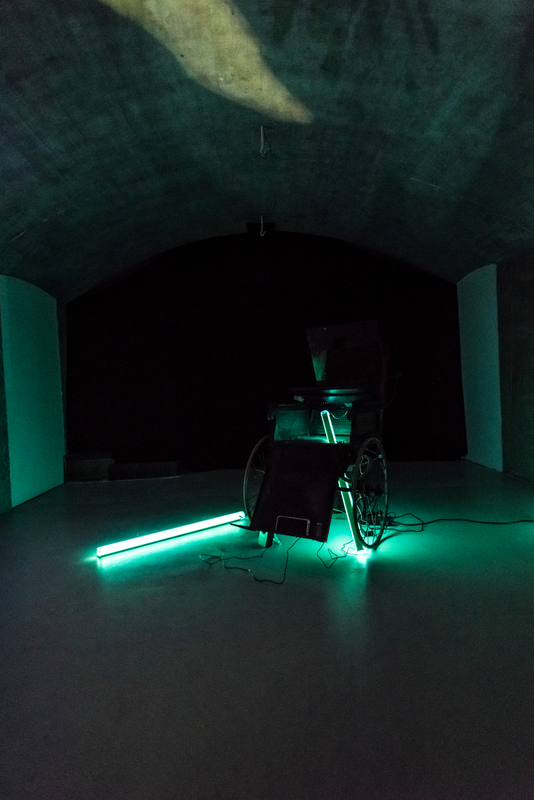 This fall the Kunstfort welcomes: Toon Fibbe & Laura Wiedijk with Cloning the Ghost, Sara Kamalvand with The Tehran Garden Festival i.c.w. Mahmoud Bakhshi, Jan Hoek and Annika Kappner. 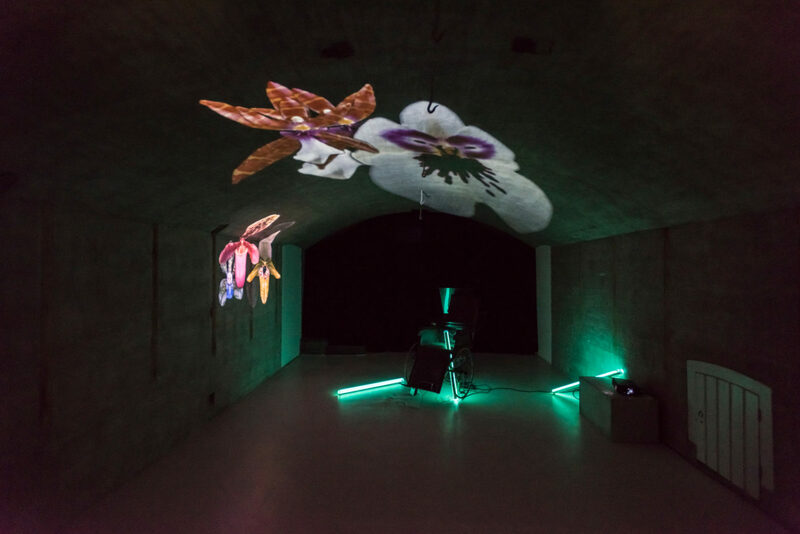 In the project of Toon Fibbe (NL, 1987) and Laura Wiedijk (NL, 1985) the alienating orchid is presented in all its misleading glory: the beautiful outsider who penetrates herself like an alien. 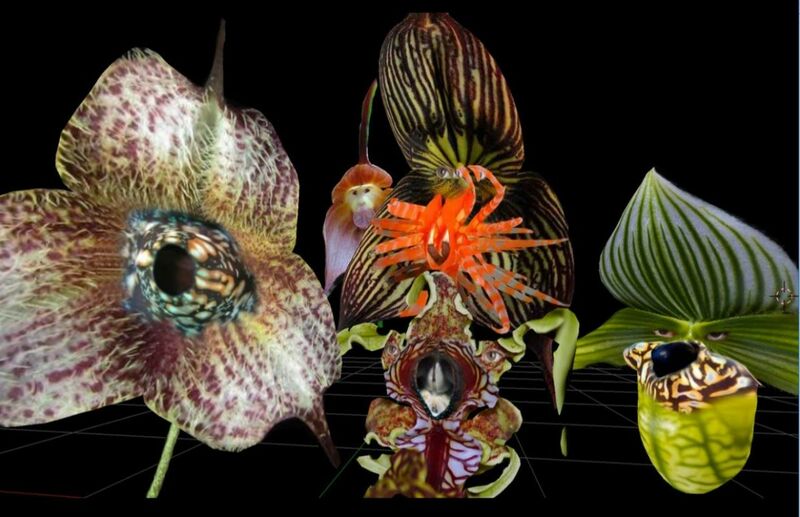 Cloning the Ghost investigates the seductive appearance and reproduction strategies of the flower. This visual misguidance is mirrored by the rhetoric of evolutionary economics. 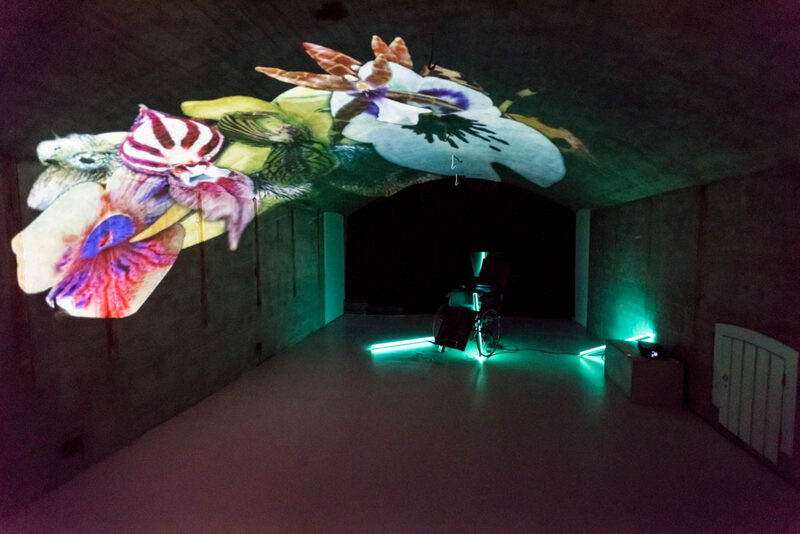 The installation in the concrete fortification is warm, humid and dense: overflowing with pulsating (holographic) projected orchids, visual deception, ecology and evolution are central to the work.